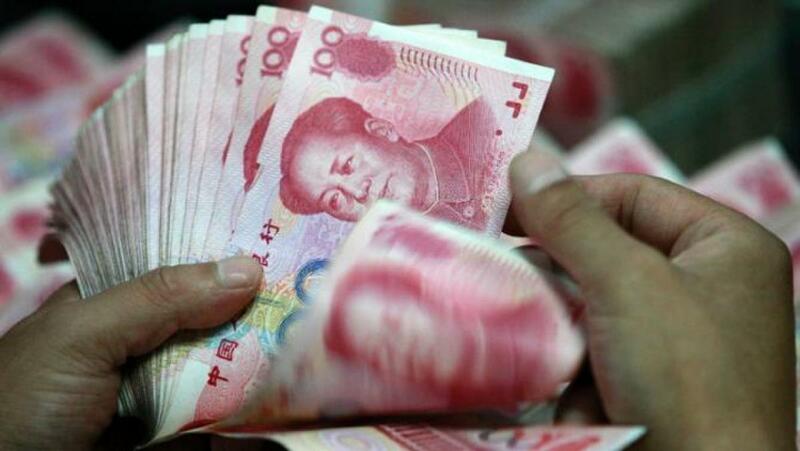 China on Saturday welcomed backing from IMF experts that the yuan should be included in its reserve currencies, saying the move would strengthen the world\'s financial system. Now the world\'s second-largest economy, China asked last year for the yuan to be added to the elite basket of SDR currencies, but until recently it was considered too tightly controlled to qualify. China on Saturday welcomed backing from IMF experts that the yuan should be included in its reserve currencies, saying the move would strengthen the world's financial system. Now the world's second-largest economy, China asked last year for the yuan to be added to the elite basket of SDR currencies, but until recently it was considered too tightly controlled to qualify. It now looks likely the yuan will be formally admitted to the IMF's "special drawing rights" currency basket at the end of the month, which would mark a milestone in China's efforts to become a global economic power. IMF chief Christine Lagarde said the fund now deemed the yuan "meets the requirements to be a 'freely usable' currency" -- a key hurdle to joining the yen, dollar, pound and euro as a leading unit in international trade. The yuan hit headlines in August when China's central bank devalued the currency and said it would use a more market-oriented system to calculate the point around which the currency can trade each day. The move sent markets into a tailspin as investors took it as a sign of slowing growth in China, a key driver of the world economy, but the central bank on Saturday said such reforms had taken it closer to joining the SDR basket. "China thinks that the inclusion of the RMB (yuan) into the SDR basket will strengthen the representativeness and the attraction of the SDR (and) that it will improve the existing international monetary system," the People's Bank of China (PBoC) added. "It will have win-win benefits both for China and the world." The yuan has rapidly grown in importance in recent years as China -- the world's top trading nation -- has used it to settle more of its commerce, and made it directly convertable with more currencies. Including the Chinese currency in the SDR would likely boost demand for yuan-denominated assets among central banks, and give it a sheen of respectability at a time when many investors are questioning Beijing's ability to manage the slowing economy. Lagarde said IMF experts ruled Beijing had addressed "all remaining operational issues" required for SDR inclusion, which will be decided by the executive board at a November 30 meeting. "I support the staff's findings," she said, adding to expectations that the board will also back the yuan. That would mark an about turn from the beginning of August -- before the yuan devaluation -- when the Fund said the currency was not freely usable enough to be included in the basket. Despite the recent misgivings, there has been strong pressure for the IMF to act now as the SDR basket is only reviewed every five years. If a decision to include the yuan is made this month, the actual inclusion could take place as late as September 30, 2016, giving Beijing more time to prepare. The recommendation Friday was broadly backed by the United States, China's main rival for world economic supremacy. "We intend to support the renminbi's inclusion in the Special Drawing Rights basket provided the currency meets the International Monetary Fund's existing criteria," the Treasury Department said, using another name for the yuan.